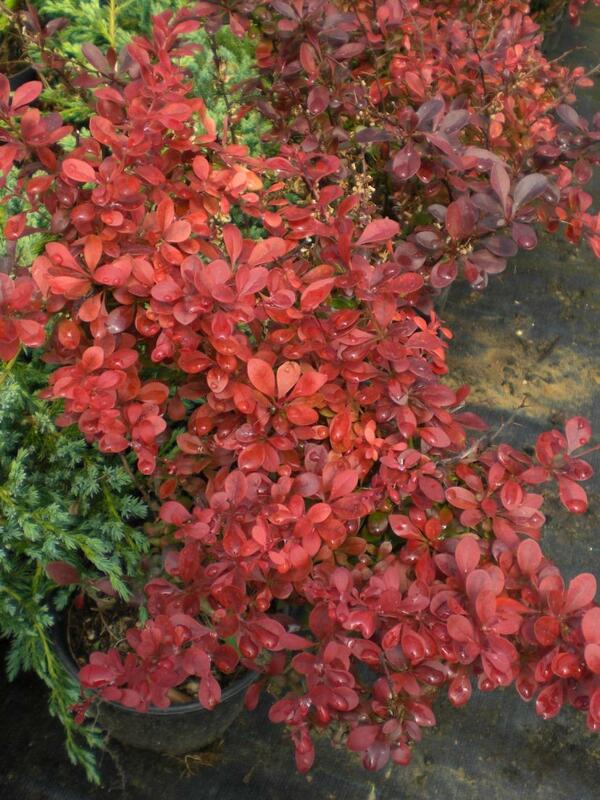 Berberis thunbergii f. Atropurpurea Nana - Barberry is a dense dwarf rounded deciduous shrub with reddish-purple leaves turning brilliant red in Autumn. Grows to about 40cm. 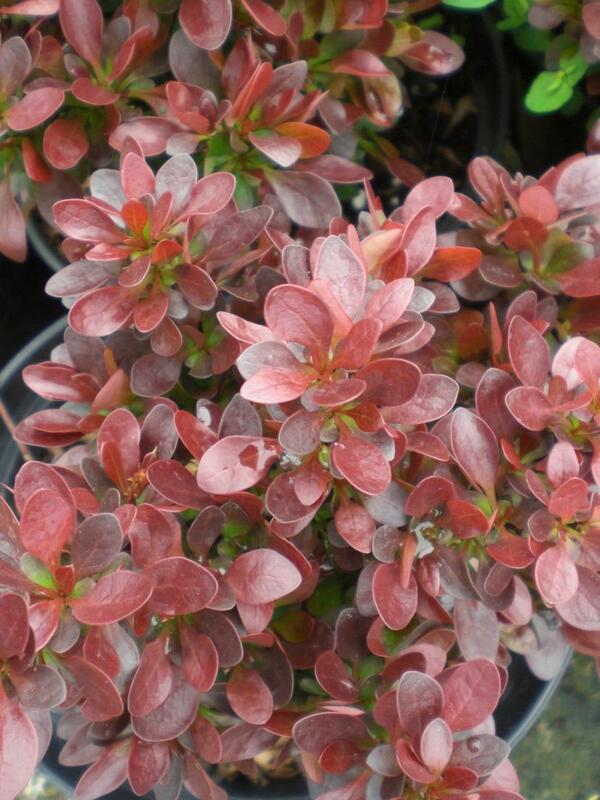 Suitable for use as an edging plant.